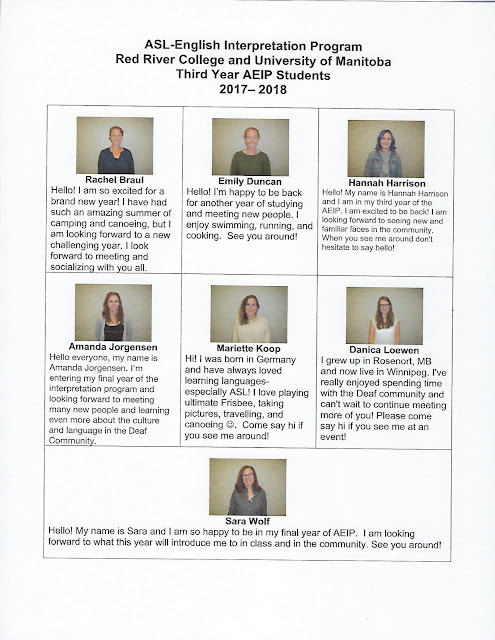 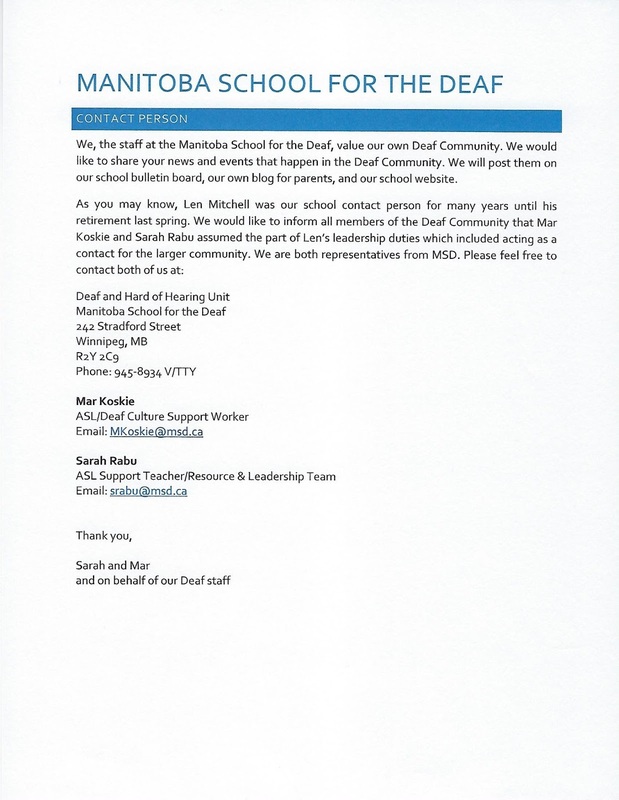 Want to send your news to Manitoba School for the Deaf (MSD), here is the contact person information! 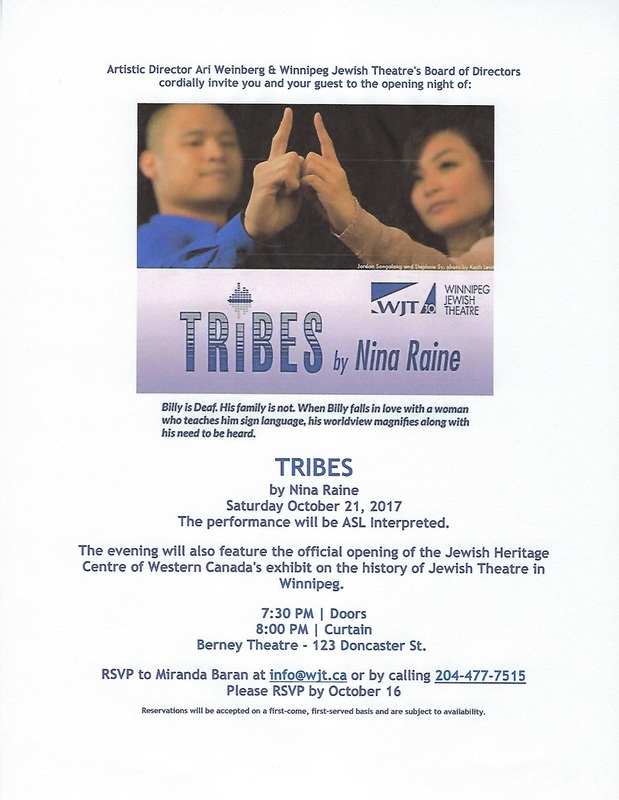 Artistic Director Ari Weinberg & Winnipeg Jewish Theatre's Board of Diirectors cordially invite you and your quest to the opening night of TRIBES!! 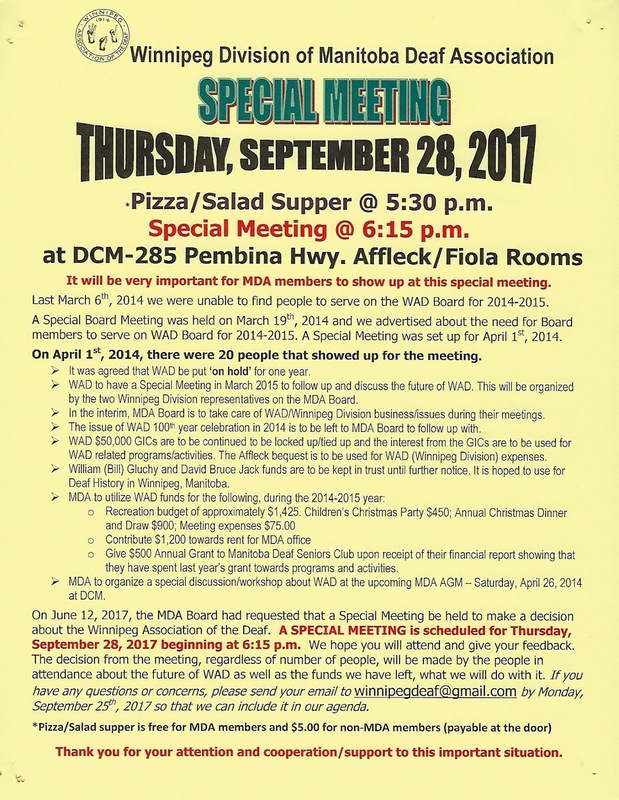 Traffic accident reporting requirement have changed.. See for more information! 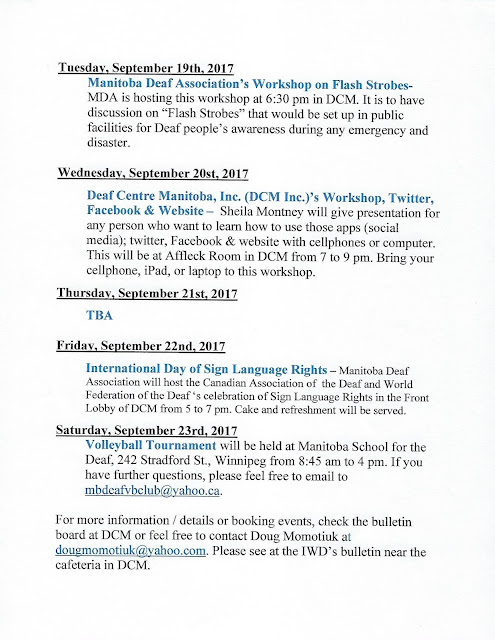 Manitoba Government would like to inform you about Traffic accident reporting requirements have changed. 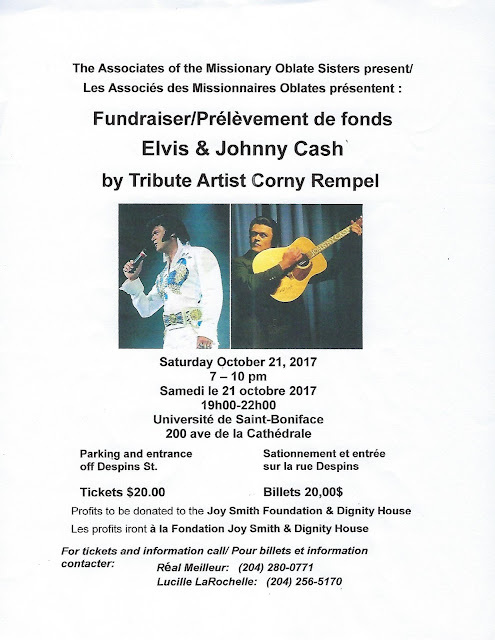 If you are in a collision you no longer have to report to police if only property damage is sustained, no matter what the value of that damage is. 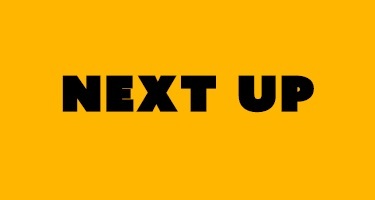 Vehicle damage resulting from suspected vandalism attempted theft and theft must also be reported to police. 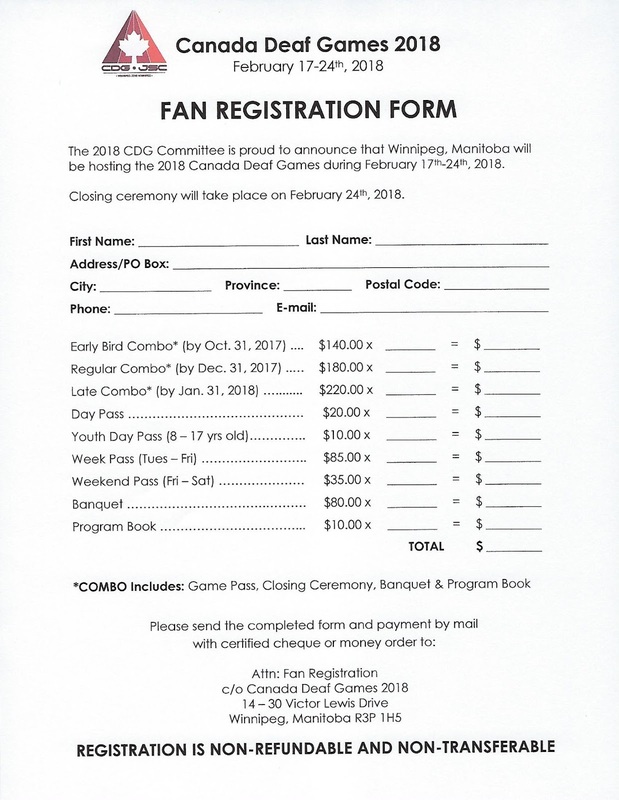 Canada Deaf Games 2018 Fan Registration Form is now available! Interested to setting up your own business? 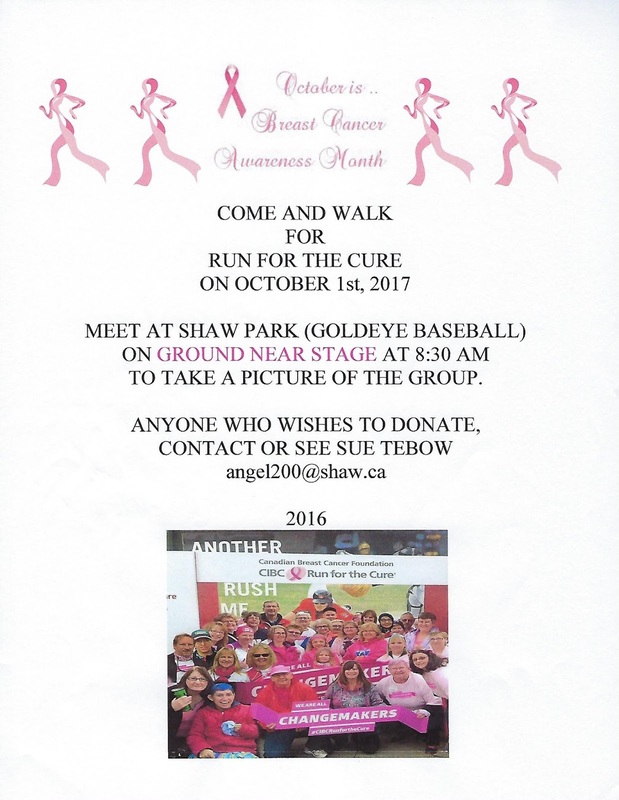 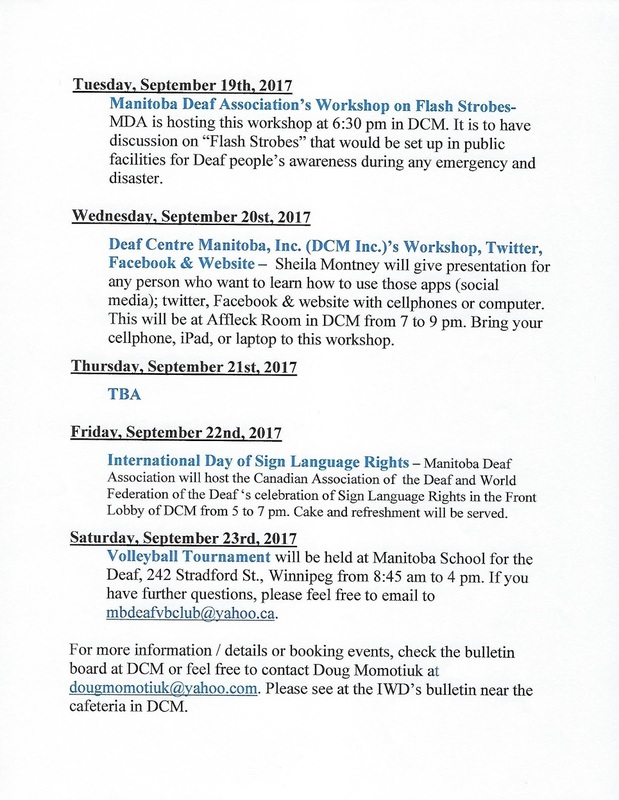 Check it out for the Information Session in October! 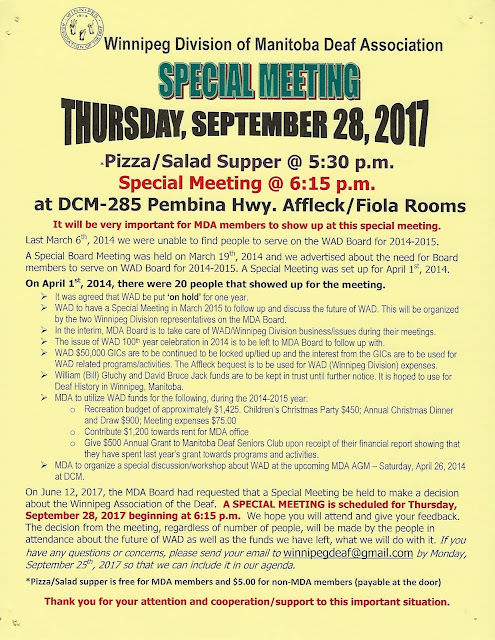 Anyone interested in setting up your own business?? 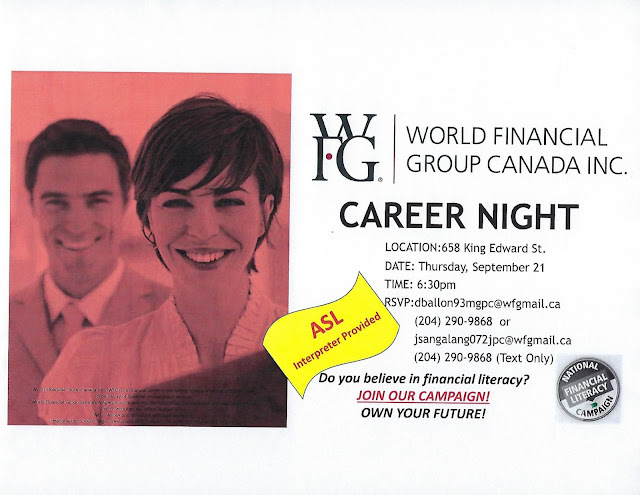 Check the link below for further information about an information session on Monday, October 30th, 2017 from 10:00 a.m. – 11:30 a.m. Free admission. If you require an ASL/English interpreter, contact them and let them know before October 13th. 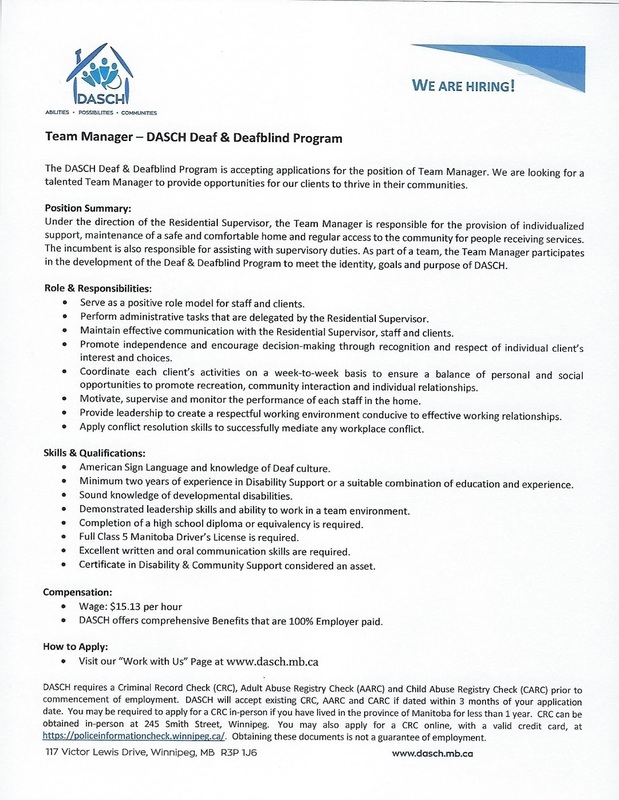 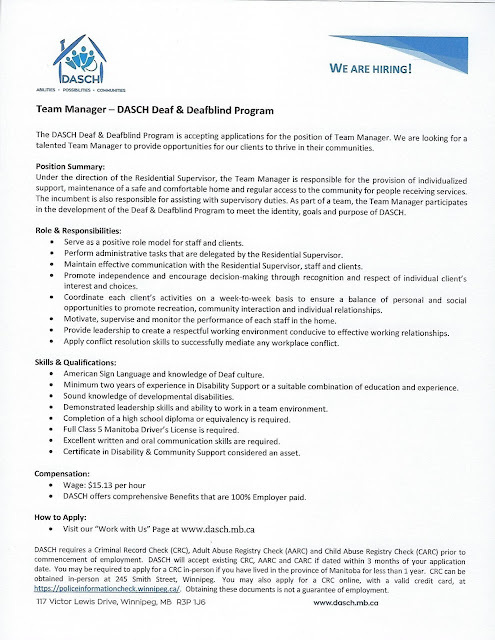 DASCH is a non-profit organization supporting adults and youth with developmental disabilities in Winnipeg. 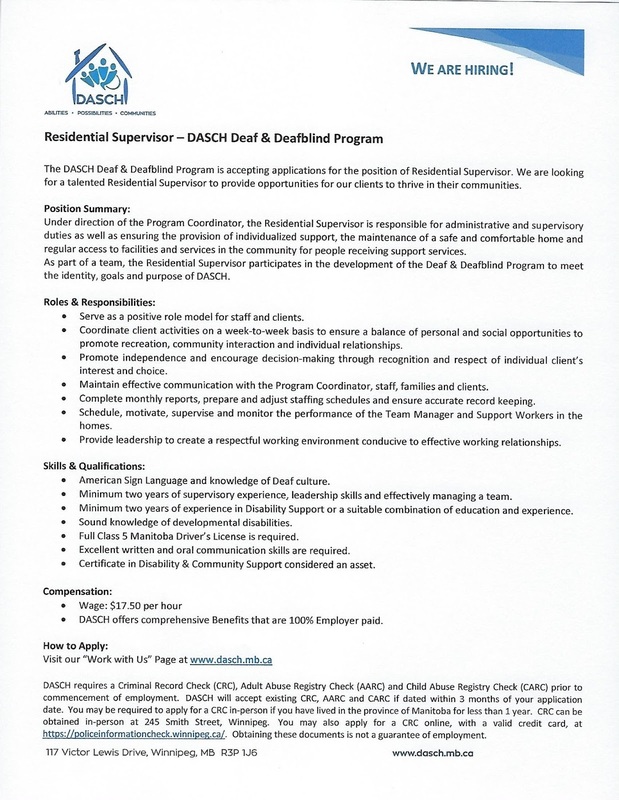 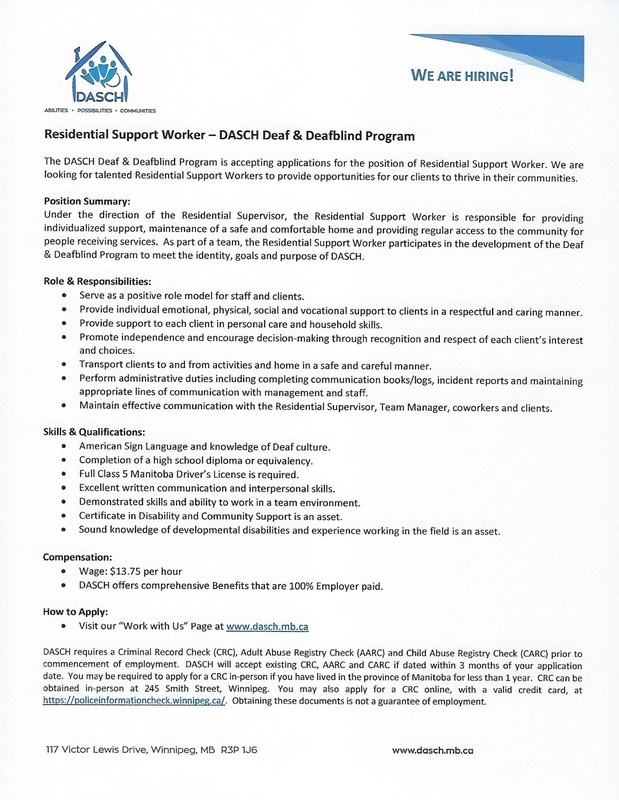 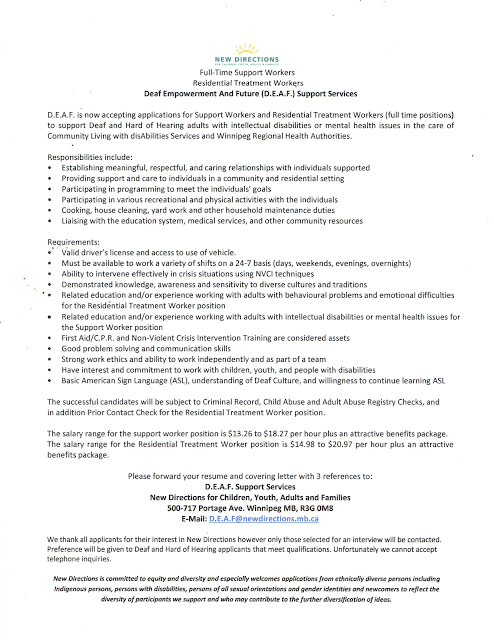 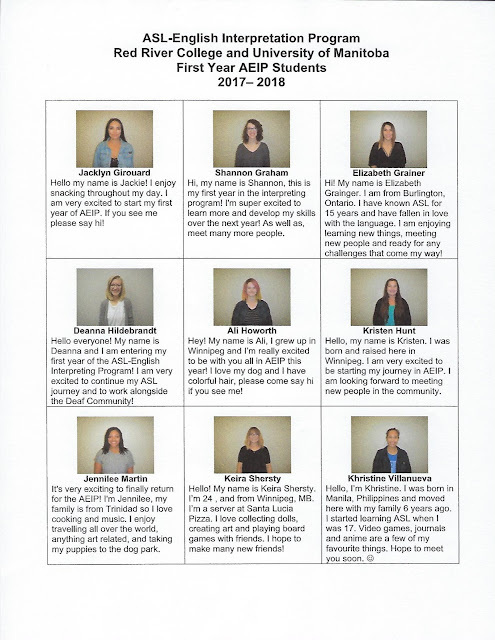 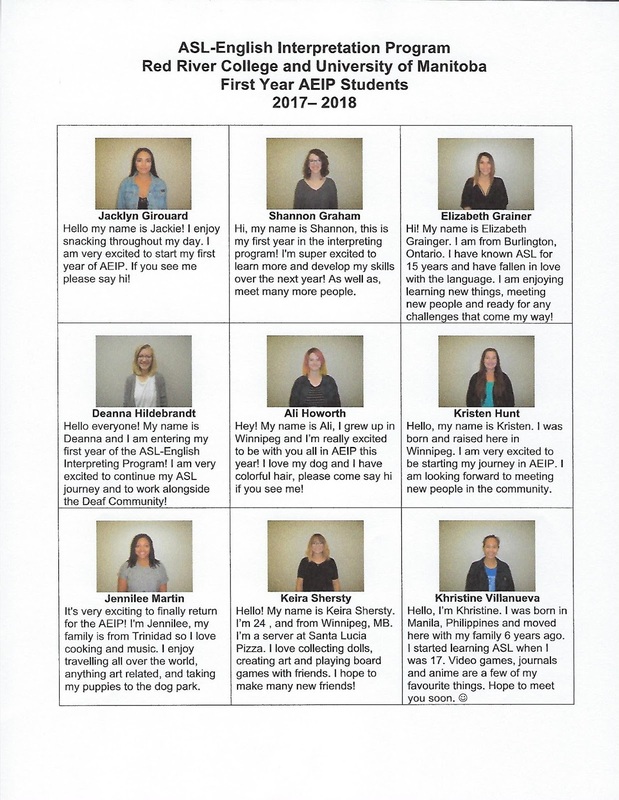 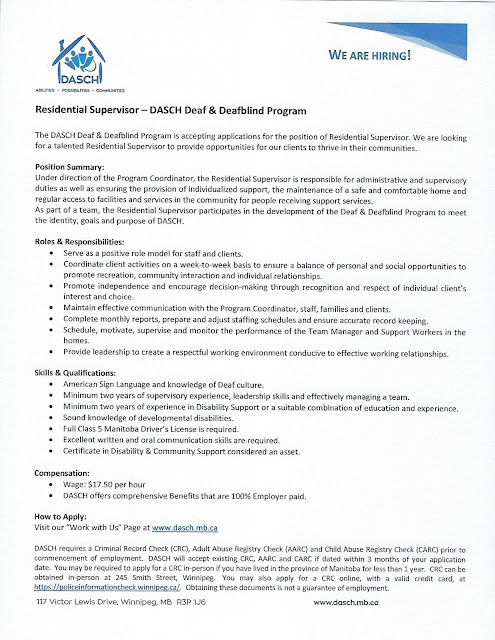 DASCH currently supports over 200 individuals in 54 group homes and 4 day programs throughout Winnipeg with a staff team of approximately 740 employees. 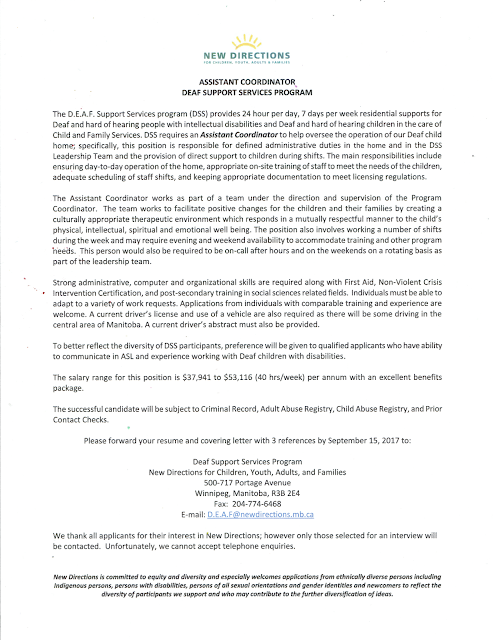 Please find attached the Job Postings for these positions. 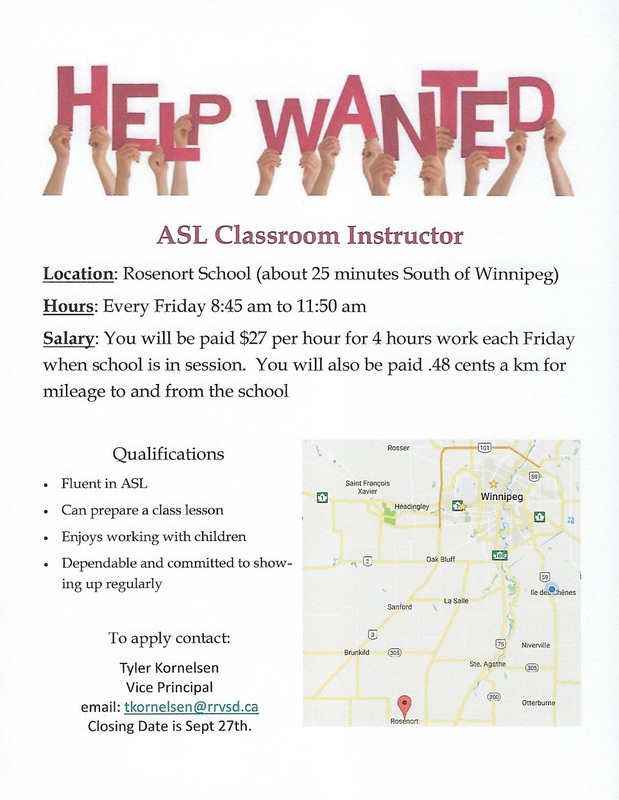 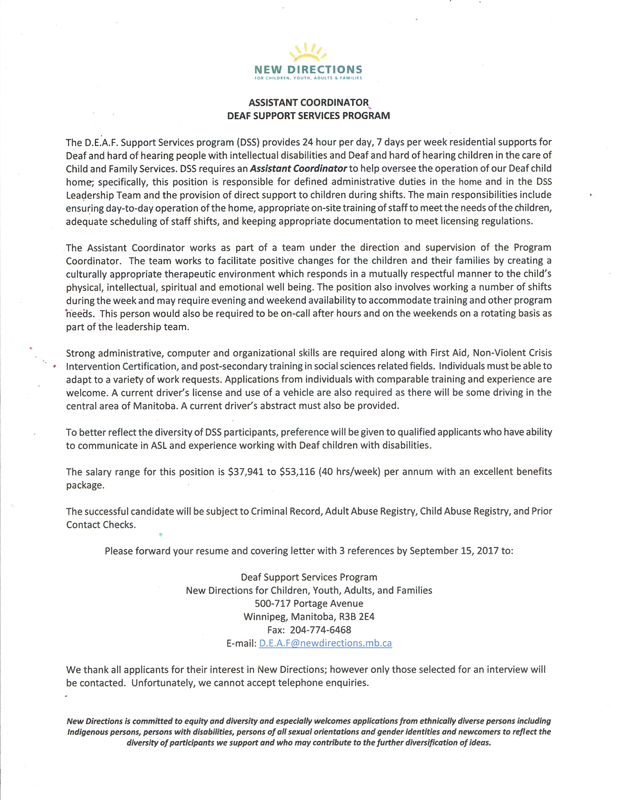 Need ASL Classroom Instructor for Rosenort School-Deadline by September 27th! 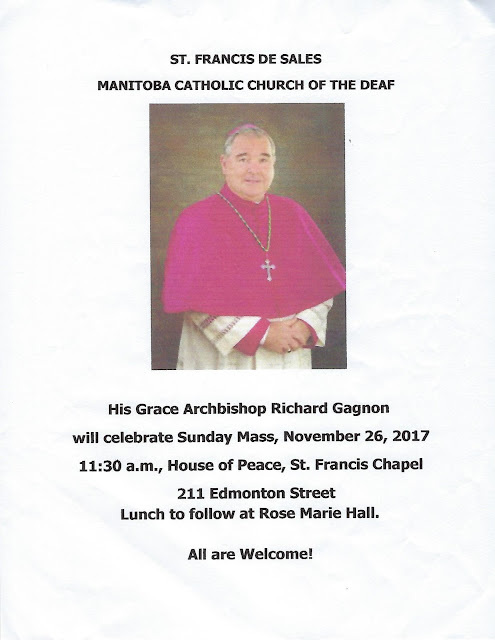 St. Francis De Sales Manitoba Catholic Church of the Deaf will have special Mass with His Grace Archbishop Richard Gagnon- November 26th! Deaf Community News has been relocated to DRC Bulletin Board as a temporary. 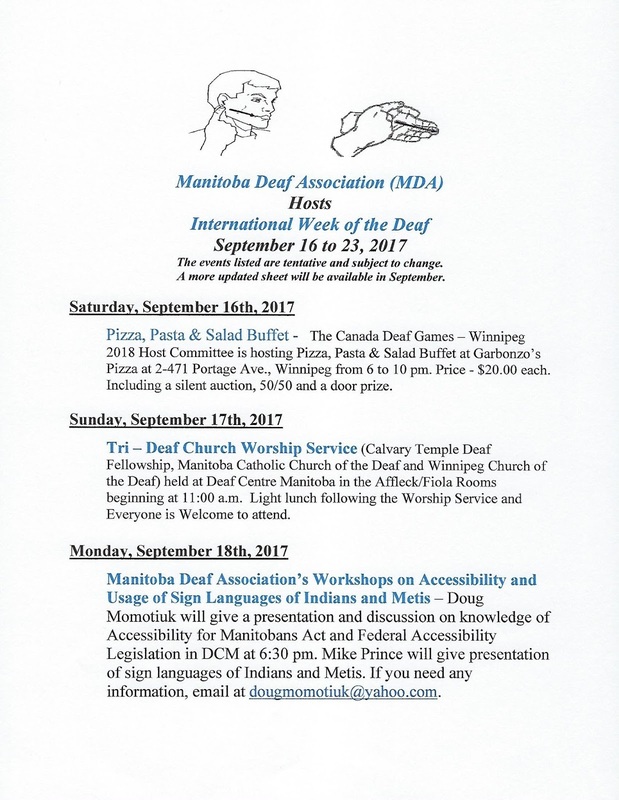 Let you all know that the DCM Inc Bulletin Board near DC Cafe has International Week of the Deaf (IWD)'17 posters of different events from September 16th-23rd. 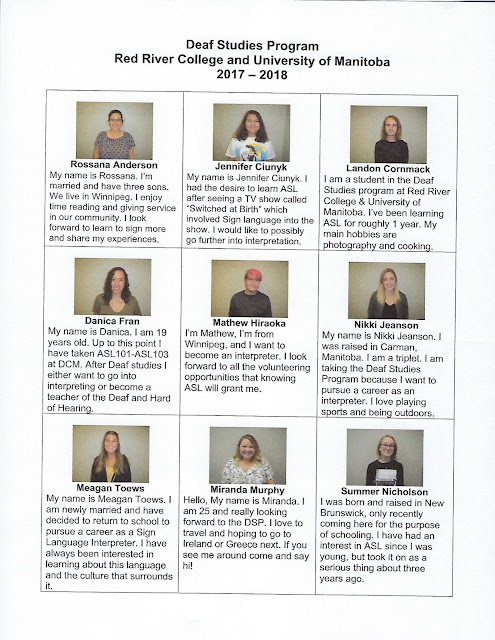 Deaf Community news has been moved to Deaf Resource Centre Bulletin Board till IWD'17 event is over and will return back there. Please go to Deaf Resource Centre (DRC) Bulletin Board to see Deaf Community News. 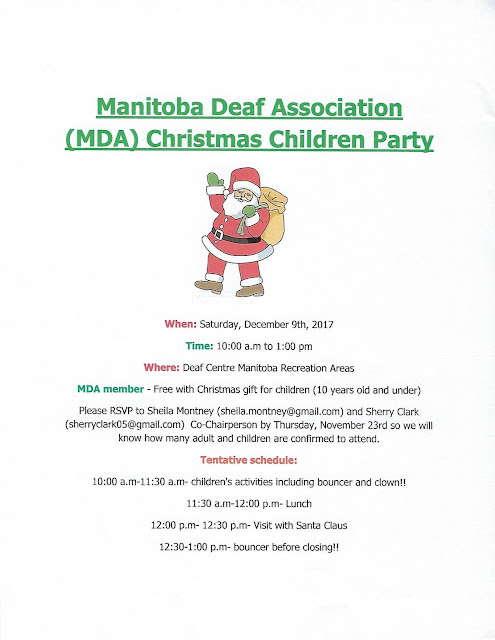 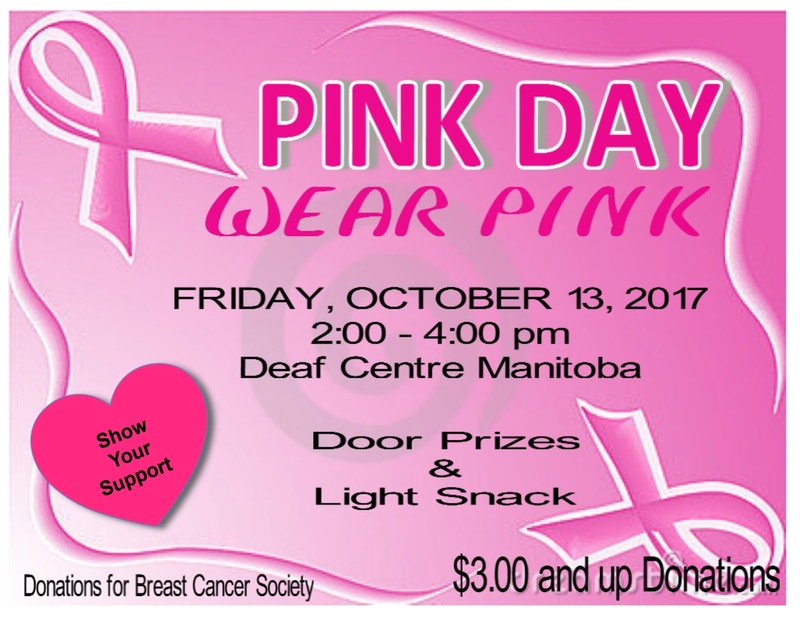 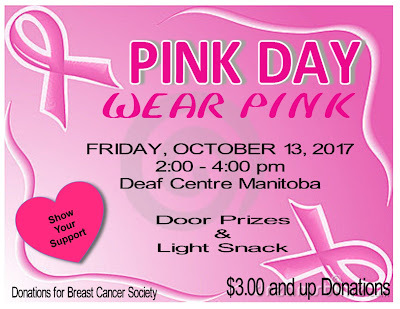 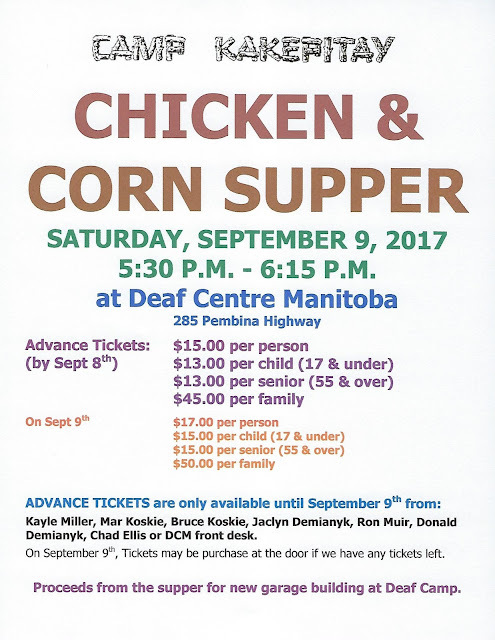 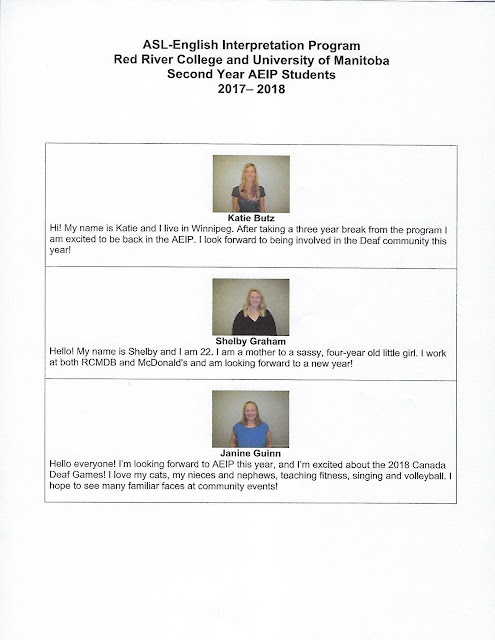 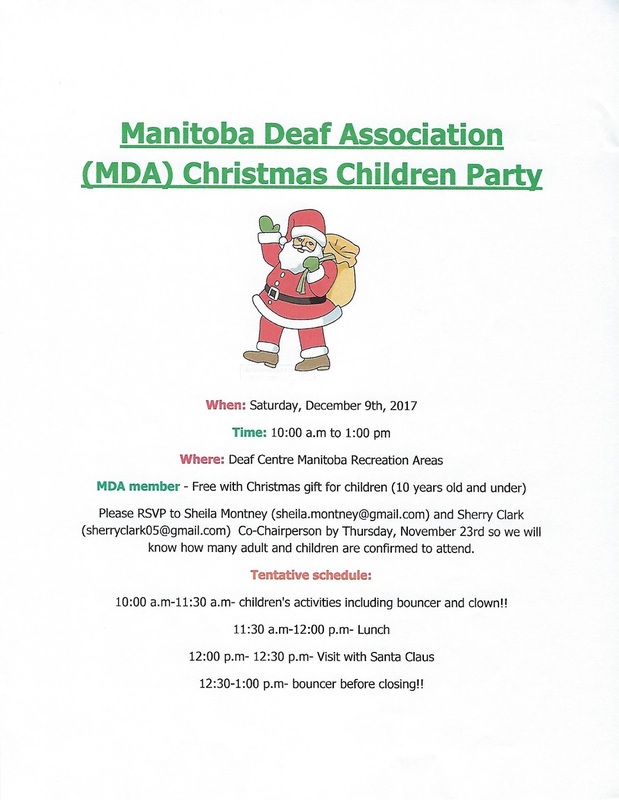 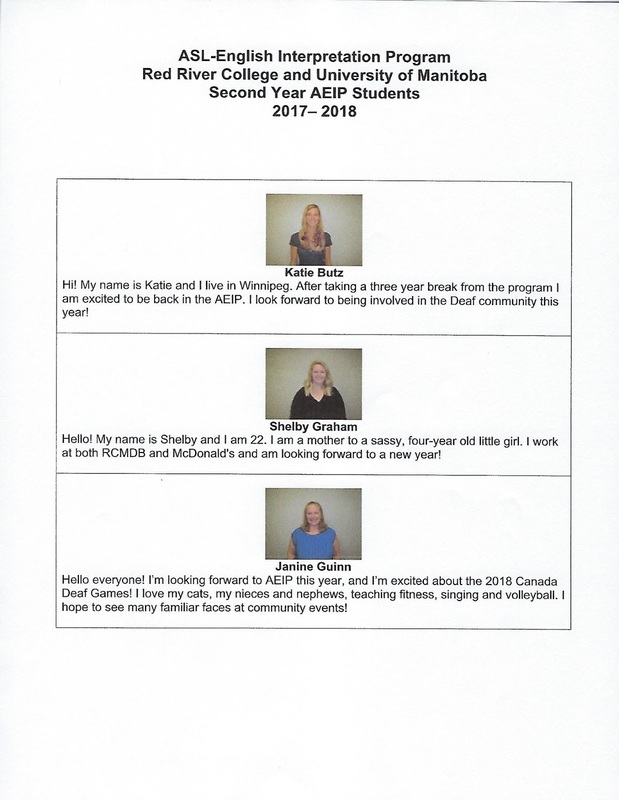 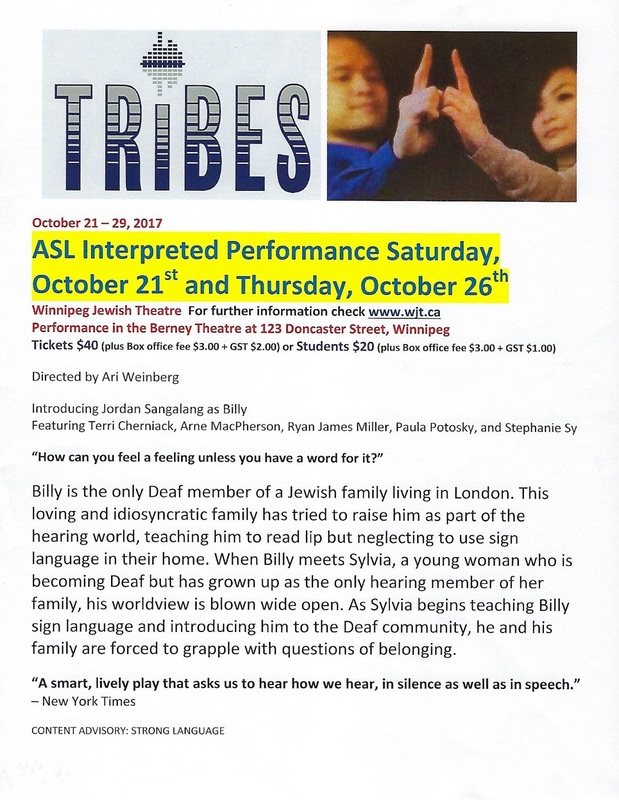 Winnipeg Division of Manitoba Deaf Association Special Meeting- September 28th!